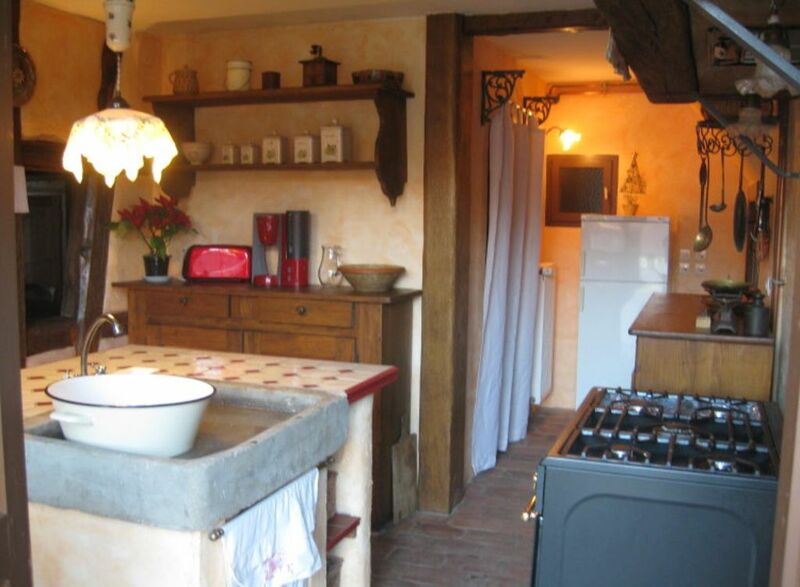 GITE ANGEVAL 4 **** Ranked in 2013, this cottage spacious charm you with its warm and authentic setting. Enclosed garden with a large shed, garden furniture, barbecue, deckchairs. The shops are nearby and easily accessible on foot. The supply Bed linen, towels, final cleaning and taxes are extra. We accept payment by check, cash and checks ANCV. GITE ANGEVAL - Very spacious bathroom with large shower "rain shower" littered with pebble and 2 sinks.